Ever walked into a salon for a colour appointment and sat back and relaxed while your colourists zig zagged a squeezy bottle through your hair? So, no. Colourists always use a tint brush and bowl and are very careful with their colour placement. Their results (and job!) depends on them placing the right colour in the right place. There’s very good reasons why we take our home colouring cues from salon colouring professionals. Layers are for cuts, not colour. Start using a tint brush for your home colouring to introduce control to the hair colouring process. The tint brush helps you place the colour exactly where you need it, without overlapping colour. Colour which has been overlapped will be darker and less vibrant at the ends . The tint brush lets you paint the colour exactly where you need it, significantly increasing fabulous colouring outcomes, and reducing the likelihood that you will have a home colouring disaster or even minor mishap. 2. Creating clean easy partings. Follow our simple sectioning guide. for easier, neater sectioning. Use the handle of your brush to create neat partings to section your hair. Use non-metallic sectioning clips (provided in your Free Trial) to clip your hair out of the way. This will keep it neat and manageable while you colour and it helps you to access and see the roots of your hair so that you can place the colour exactly where you need it. The aim is to avoid overlapping colour which will make your hair colour darker and duller in the mid-lengths after repeated colouring. 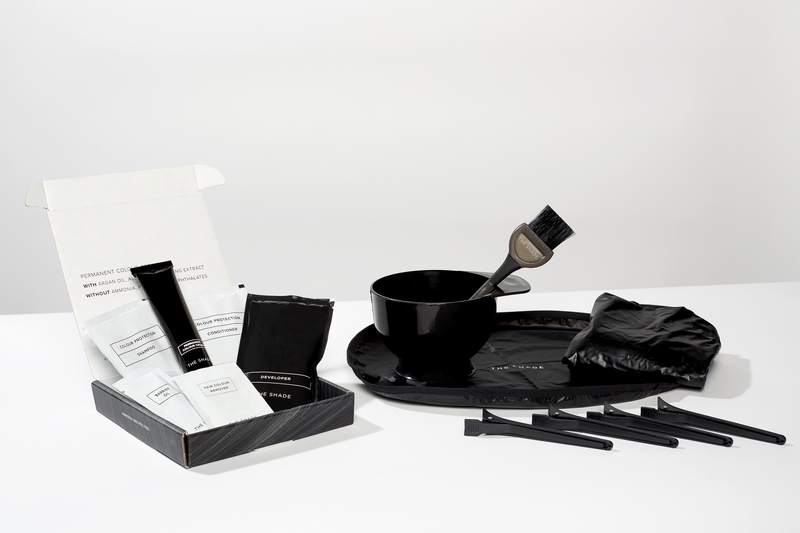 Using a tint brush helps you control not only where the colour goes but also how much colour you paint on to your hair. This is especially useful if you are trying to cover some unloved greys . Grey hair has no colour pigments and can be coarser and naturally be resistant to absorbing colour. Use your tint brush to paint the colour into the grey roots and continue colouring all sections of your hair (roots or full-length depending on your colouring needs) and then return to place more colour on grey roots. Push the colour into the hair with the brush to help the colour absorption. 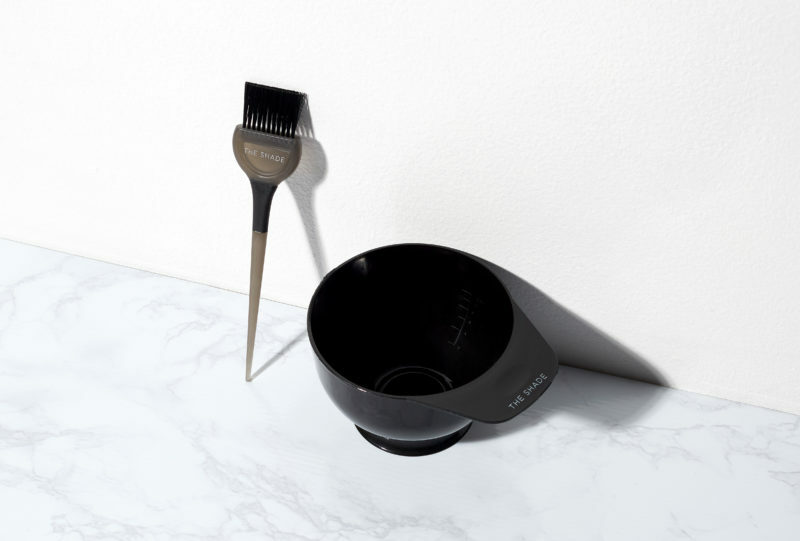 The tint brush helps you double-up on the colour where you need it most, while avoiding overlapping and colour build-up on the mid-sections of your hair. 5. It’s all about the result. The upshot is that fabulous colour results can really only be achieved on an ongoing basis using a tint brush – that is exactly why colourists in salons use them. It is very difficult to avoid colour layering and the stripy colour banding effect that is seen after colour has been layered if you apply full length colour or over-lap colour. Using a tint brush for your home colouring is easy, and fabulous colour results can be achieved and repeated at home by using the right product and application method. At The Shade we are bridging the gap between the salon and home colouring. We bring you salon product, colour guidance and application to help you emulate and achieve true, ongoing salon results at home. It’s easier than you might think to colour at home using salon accessories such as a tint brush. A tint brush can take your home colouring to another gorgeous level. Now all you have to do is share your gorgeous colour with us on Instagram with #TheShadehair.